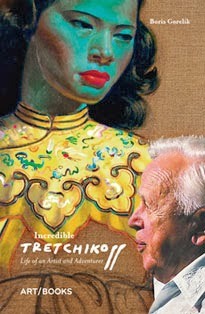 "Rhodes University Department of Fine Masters of Fine Art (Curatorial Practice MFA) student, Andrew Lamprecht, took the bold step of arranging the first ever retrospective exhibition of the populist artist Vladimir Tretchikoff at the Iziko South African National Gallery. The Curatorial Practice MFA was introduced only a few years ago, and Lamprecht is one of the first to register for the degree and the first to submit. A course requirement is the mounting of a professional exhibition at a reputable art museum. Lamprecht is a lecturer at the Michaelis School of Art at UCT, and a respected writer and academic. 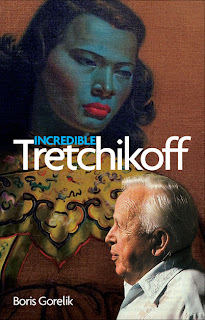 His aim, explains Professor Dominic Thorburn, is to revisit and re-present Tretchikoff's work, and, by doing so, allow the public the liberty to make up their own minds as to whether what he produced can legitimately be called fine art. Professor Thorburn and Senior Lecturer Ashraf Jamal, who is co-supervising Lamprecht's MFA, agree that his undertaking of this retrospective can be seen as a courageous, indeed risky, career move, given the ongoing fierce debate over this issue of legitimacy."